Umbrellas and canopies create shade, lower ambient temperatures and block UV rays on hot, sunny Summer days. Sitting under the canopy of a quality beach umbrella can make the difference between comfort and sweltering. When choosing an umbrella, we look for durability, wind ratings, weight and size. 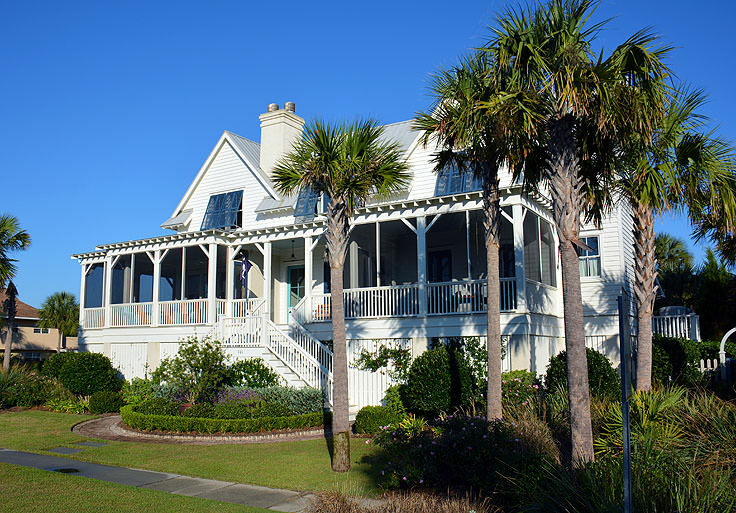 An ideal destination for families, golfers, special event organizers, or anyone in need of a quick romantic getaway, the Isle of Palms delivers any vacationer's needs without all the hustle and bustle, or commercialization of typical beachside vacation destinations. Frequent vacationers attest that the Isle of Palm's charm lies in its secluded, and almost exclusive-feeling environment, in addition to its eclectic collection of off-the-beach activities and attractions. Enjoyable by Charleston or Mt. 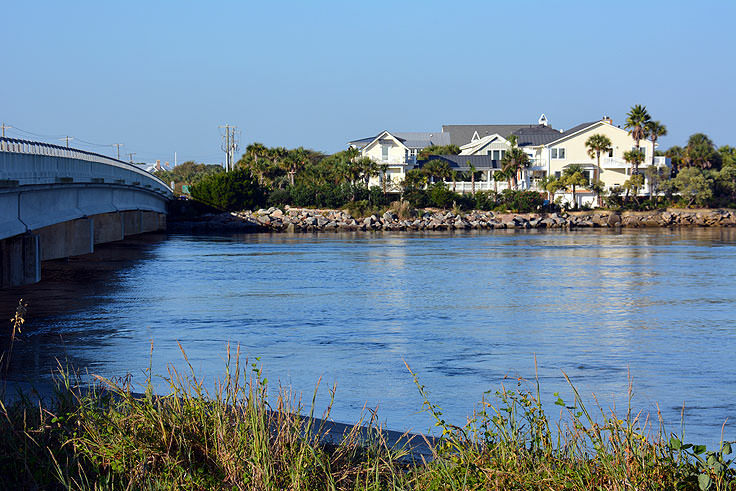 Pleasant day trippers and weeklong vacationers alike, the Isle of Palms is a welcome oceanside retreat that puts South Carolina coastal lovers completely at ease. 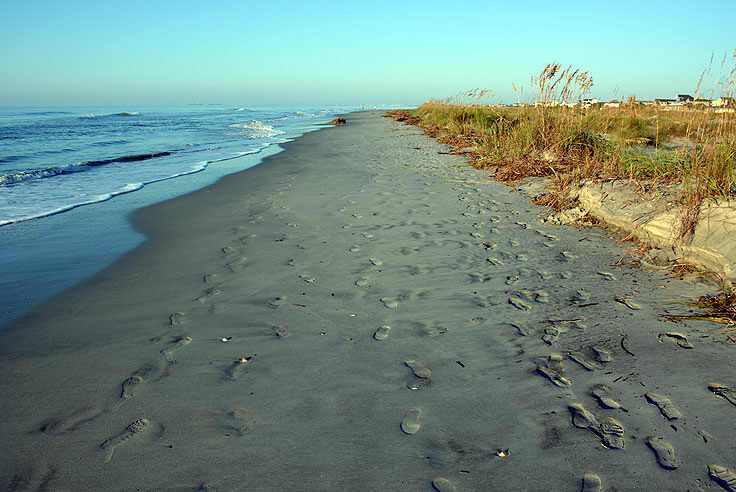 Isle of Palms has seemingly always been known as a destination for weary mainlanders in need of a relaxing retreat, and in fact, its history compliments this longstanding reputation. Originally a launching point for Confederate ships during the Civil War, (including the submarine the H.L. Hunley which departed the coastline from Breach Inlet to the south), Isle of Palms was effectively first "discovered" during the late 1800s. At the time, it was only accessible by ferry, and was occupied by a handful of salty residents. This landscape changed when a 50 room hotel was built in 1906 by developer and landowner J.S. Lawrence, who also gave the region its current name. A pavilion and amusement park, quite fashionable at the time, soon followed, and a trolley was also constructed linking the mainland portion of Mt. 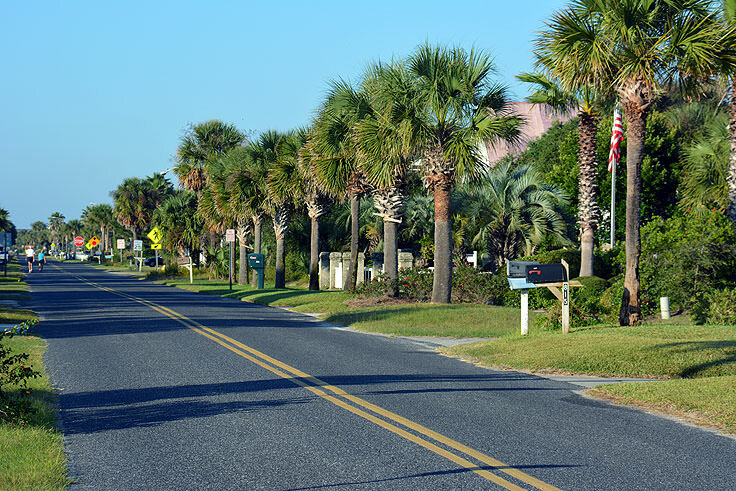 Pleasant with this barrier island destination. In 1929, the trolley would be replaced with a complete vehicular bridge, the Grace Memorial Bridge, which connected Charleston with its otherwise water bound neighbor. The result of this initial early 20th century development was swift, and the Isle of Palms became the new go-to locale for weary city dwellers in dire need of an entertaining weekend outside of Charleston. 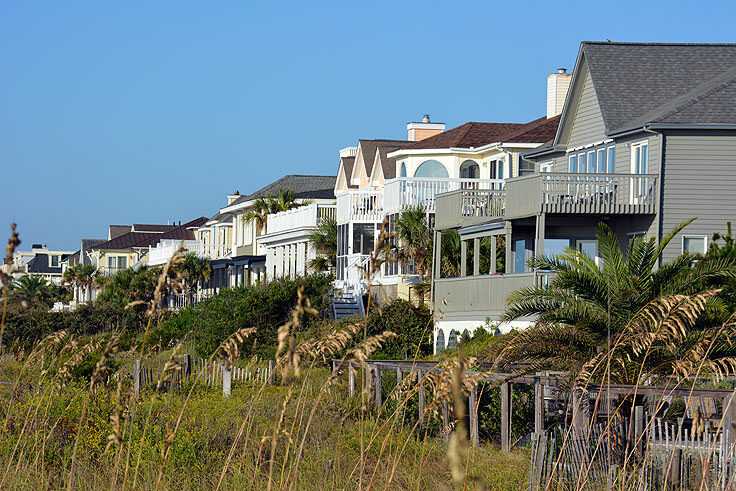 Despite this early popularity, however, the development on Isle of Palms was closely regulated and monitored to ensure that the beachfront destination still retained its out-of-the-way appeal. 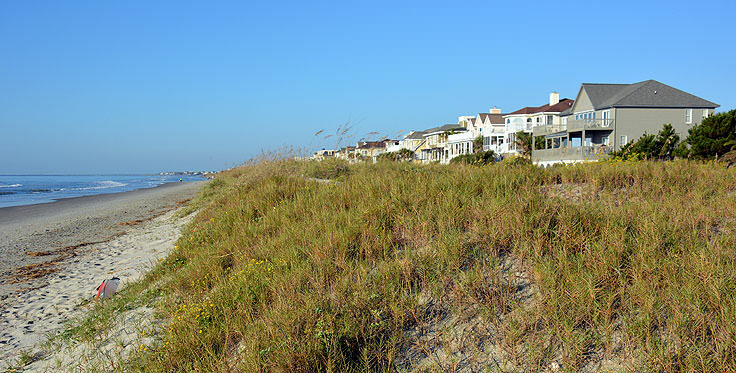 The area was restricted to collections of small inns, vacation rental homes and condos until 1975, when the regionally acclaimed Sea Pined Company of Hilton Head acquired a 900 acre parcel and received the community go-ahead to build the famous Wild Dunes Beach and Racquet Club on the island. 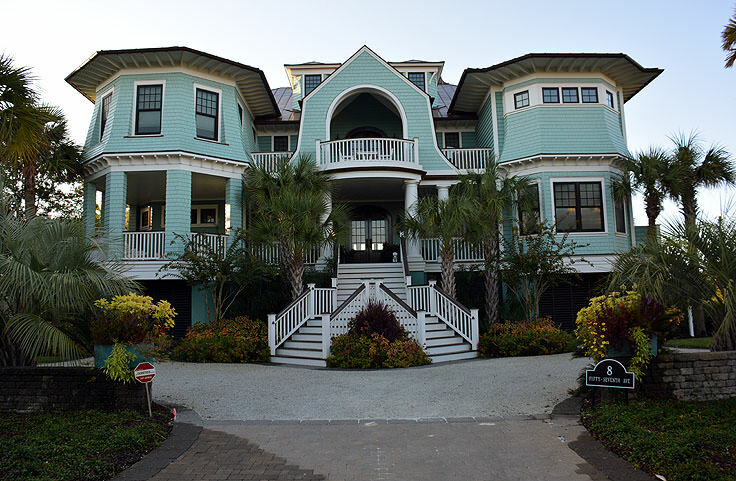 Still well-known as one of the most elite destinations outside of Charleston, the Wild Dunes Resort continues to be one of the most frequented sites on the Isle of Palms for conferences, special events, vacations, or even a round of golf or spa treatment for any Isle of Palms visitor. 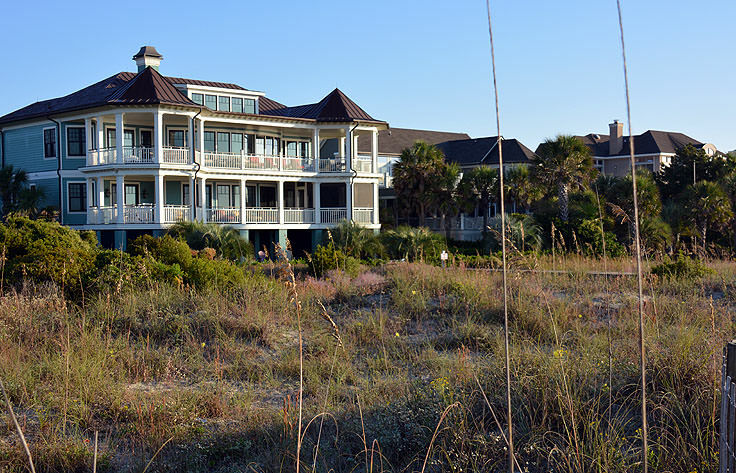 Today, many visitors opt to stay at the Wild Dunes, or one of the other six resorts, apartments, or inns that are scattered throughout the island, while other vacationers who are visiting Isle of Palms for a week or more elect to stay at a vacation rental home. 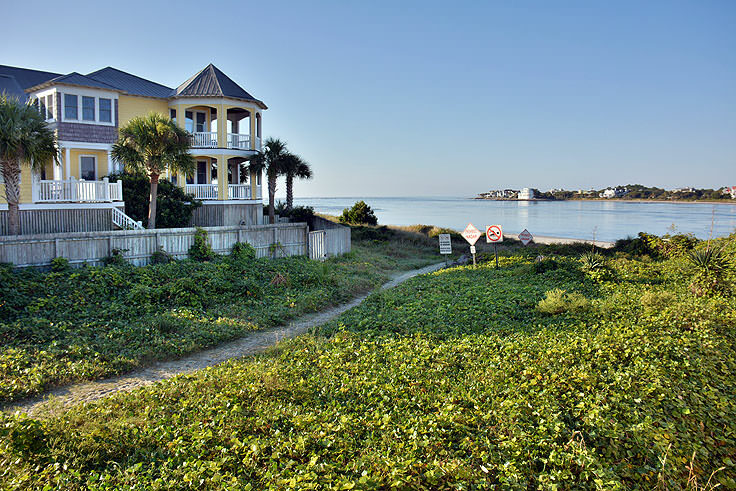 These accommodations are located throughout the island, from the oceanfront to the Intracoastal Waterway, and are generally rented in weekly increments. At a vacation rental, guests will enjoy all the comforts of home, including large kitchens, dining areas, and even hot tubs and private or community pools. Close to Charleston and Mt. 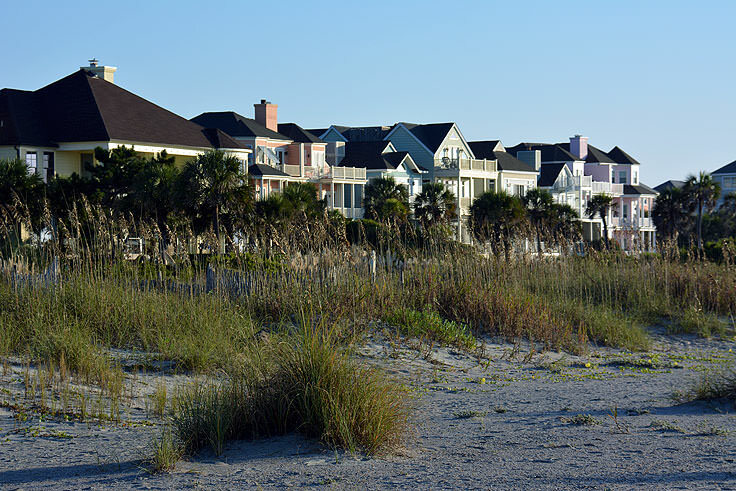 Pleasant, beach lovers often find that an Isle of Palms vacation rental home or condo is an ideal way to explore the local cities, but still have a perfectly scenic and seaside "home base" to return to. The Wild Dunes Resort is clearly a vacationer's favorite spot, for its exceptional coastal golf course and on-site salon and spa, however virtually any accommodation selection ensures that guests can enjoy the Isle of Palm's best attribute, the beach itself. 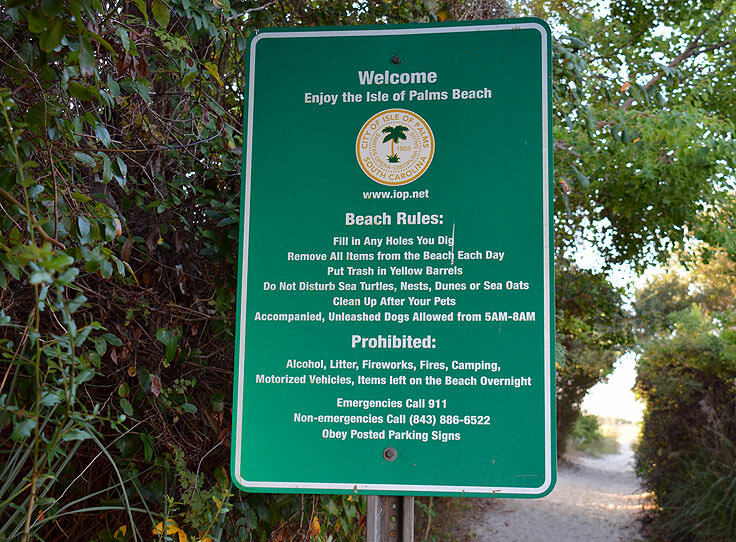 The beaches on this south-facing barrier island are nice and wide, and reward walkers and shell hunters with frequent deposits of sand dollars and small, southern seashells that serve as perfect local souvenirs to take back home. 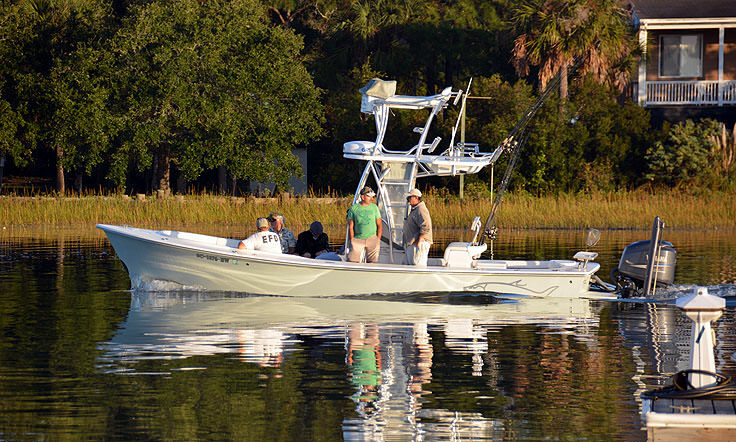 Anglers are also big fans of the area, and there are a number of inshore ad offshore fishing charters available that cater to visitors on the hunt for big game. 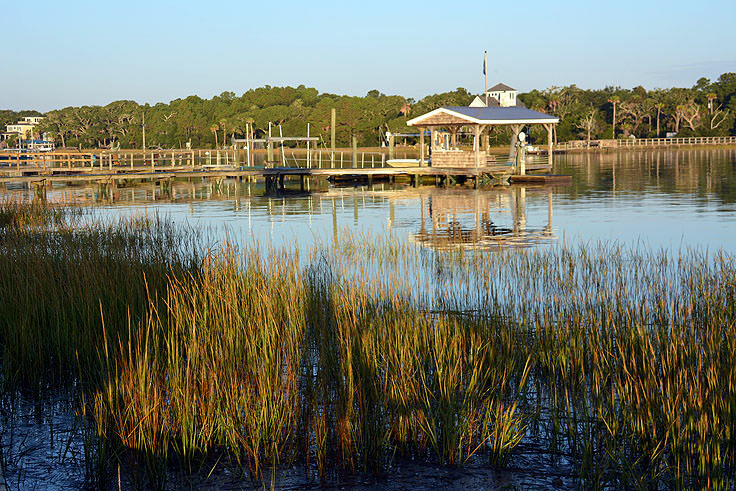 Launching from the town's multiple marinas, or providing private tours via the island's two inlets, fishermen will find plenty of places to cast off from the beach, the inshore waters, or the deep sea depths of the Gulf Stream located just offshore. 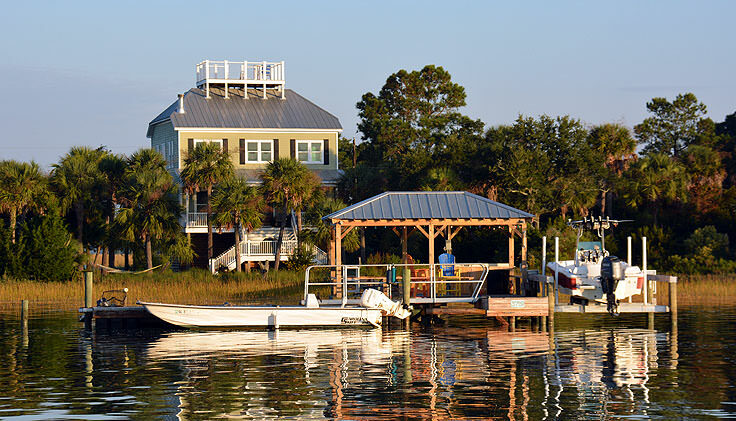 There are also a number of watersports rentals and tour businesses on island, specializing in everything from kayak rentals for a scenic self-propelled joyride to high flying parasailing tours of the Coastal South Carolina region. 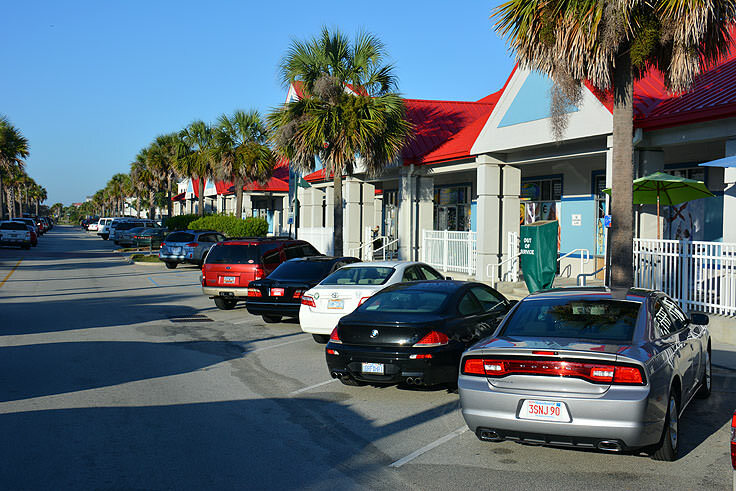 All of these adventures are seasonally available, and easily within reach, thanks to local rental and tour businesses that are conveniently stationed along Isle of Palm's main drag, Palm Blvd. 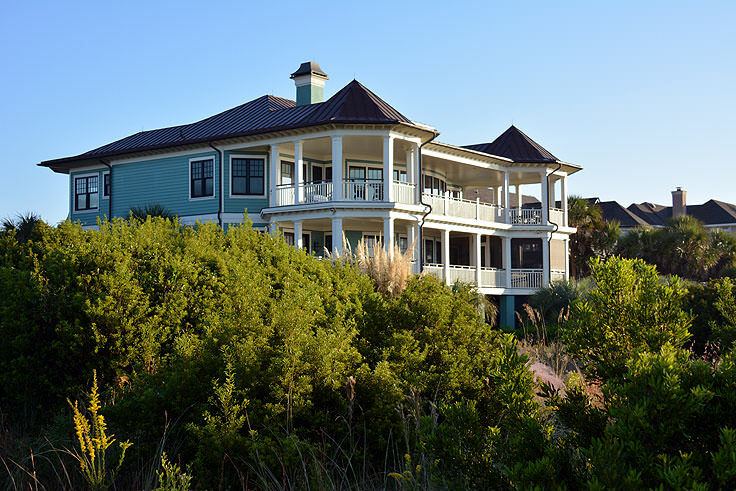 Hungry vacationers will also find ample opportunities to relax while enjoying the best South Carolina cuisine at more than 20 local restaurants, all located within walking or golf cart distance of Isle of Palm's premier beaches. 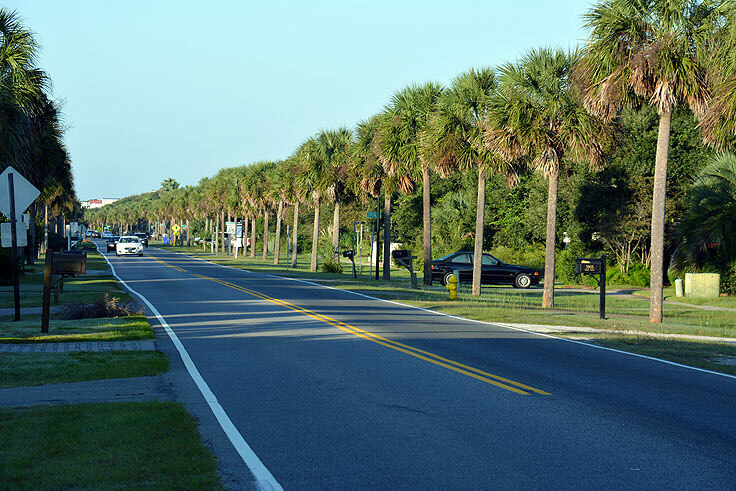 Ranging from low country cafes that are shaded by palm trees to local favorite pizza joints and easy-going grills, Isle of Palms visitors will be treated to some of the best seafood cuisine in the region with equally stunning views. With many establishments open year-round, anytime is a good time to pull up a waterfront chair, admire a beachside view, and dig in to some home cooking that takes full advantage of this community's proximity to the water. 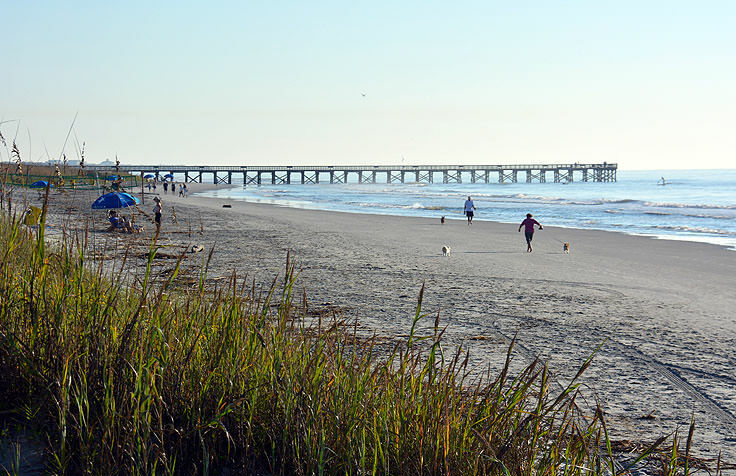 The Isle of Palms is a well-loved destination for Charleston residents in need of a weekend escape, and newcomers are quickly discovering this region as well for its exceptional beaches, laid back atmosphere, and miles of uncluttered shorelines. 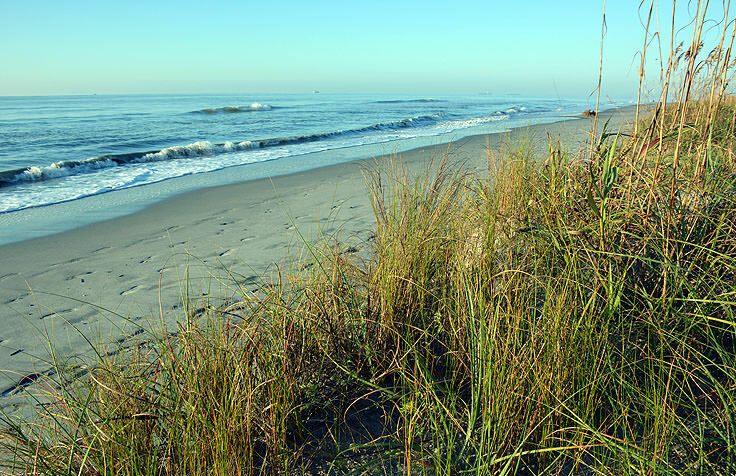 With ample accommodations to cater to a week-long family vacation or a romantic retreat for two, the Isle of Palms is a perfect respite for anyone who wants to explore the famed South Carolina coastline without the crowds, and enjoy a relaxing time that revolves around golf, beachcombing, and salty sea breezes.